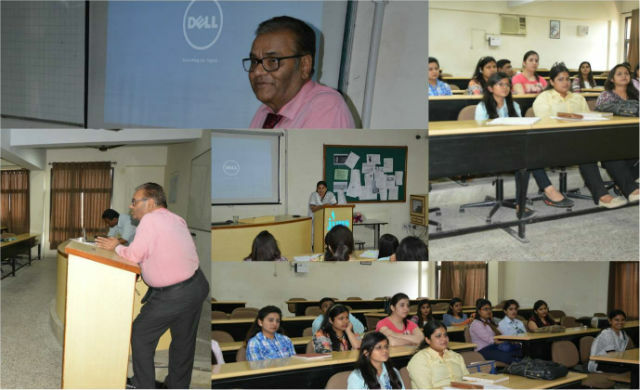 Workshop on HR Practices in Coal India Ltd.
A workshop was organised by HR Club (Samanvay) at JIMS on “HR practices in Coal India Ltd.” For PGDM (HR) students on 4th March’ 2016. Key speaker was Ms. Kumari Nivedita an alumnus of JIMS now associated with Coal India as Assistant Manager HR. Students were given brief of activities conducted in the organisation right firm social to personal development focusing employees engagement . special focus was made on health & safety issues related to employees. Students learnt a great deal on current appraisal systems & hiring practices of the organisation queries raised by the students were well addressed by the speaker. Prof. S.C. Kapoor & Dr. Pratima Daipuria also raised issues connected to practical application of HR concepts with a view to enable students understand broader perspective. Enthusiasm in the students was visible from the queries raised to understand criticality of problems.